View of Mary F. Abbott in Oldsmobile. Label (upper right) and handwriting (upper left) on the front with the number: "730". 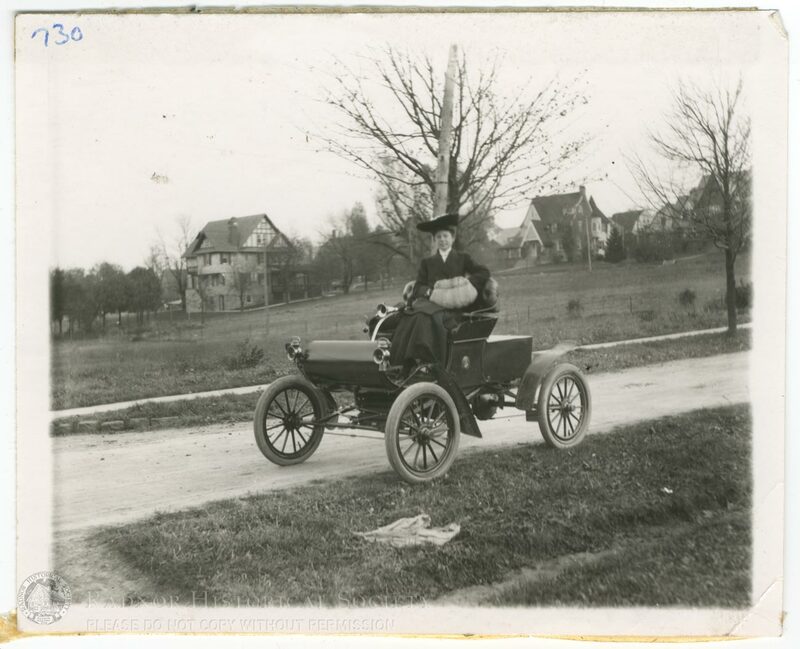 Label on the back: "D-33 Snapshot -- Mary F. / Abbott in Oldsmobile / Runabout -- Nov. 8, 1904."